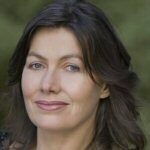 Deirdre O’Connell is an Australian-born broadcaster with a passion for history. A graduate in Communications at Sydney’s University of Technology, she has written, edited and produced over thirty programs for the United Nations and the BBC with London’s Television for the Environment (TVE). She was the Archive Producer on a feature length documentary on the life of Jimi Hendrix for the Hendrix Estate. 2009 saw the release of The Ballad of Blind Tom, her biography on the nineteenth slave pianist and autistic savant, Blind Tom Wiggins. Now based in Australia, she continues to produce programs on history, heritage and the arts.